This is one of two identical Shaker-style six drawer vanity cabinets that will flank a glass walled shower. 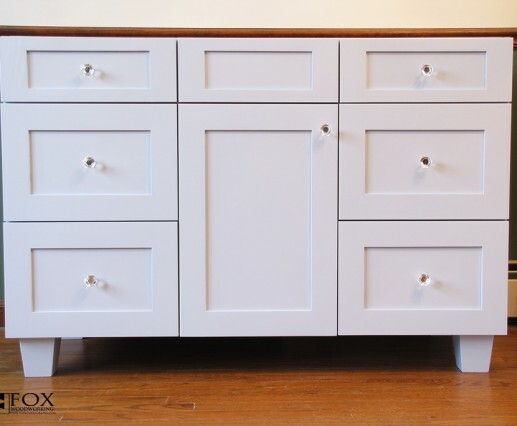 There are six drawers and one door in each cabinet. 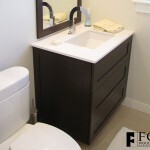 The upper center panel is a false drawer front which allows for the vanity sink. In addition, the upper drawers are actually more narrow than the drawer fronts which allows the sink to be wider than the width of the center door and drawer panels. 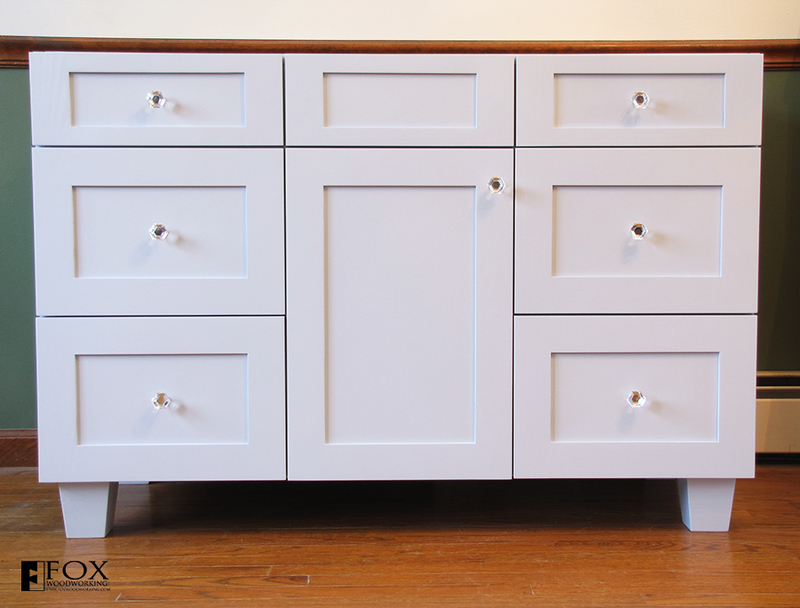 The cabinet is constructed of pre-finished maple plywood and solid wood for the drawers, stiles, and rails. The door and drawer panels are MDF. The dovetailed drawers run on Blum undermount drawer slides with a soft-close feature.